Global warming, also referred to as climate change, is a rise in the earth’s atmospheric and oceanic temperatures. This is due to an increase in the greenhouse effect resulting from pollution and the burning of fossil fuels. This boost in temperatures can then lead to severe effects such as the melting of glaciers and arctic ice, rising sea levels, longer and hotter heat waves, more frequent droughts, heavier rainfall… the list goes on and on. Here’s a series of before-and-after photos to show the effects that climate change is having on our earth and what will continue to happen if we refuse to do anything about it. I bet you would never guess what’s going on in Siberia! 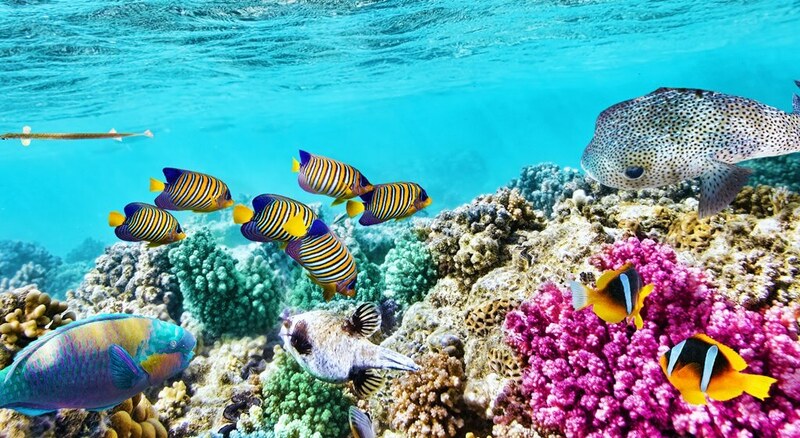 The Great Barrier Reef in Australia has forever been one of Earth’s, and more specifically the ocean’s, greatest wonders. It is the world’s largest coral reef system composed of over 2,900 individual reefs and 900 islands, stretching over 1,400 miles. It is so enormous that it can even be seen from space and is known to bring visitors to tears. The reef is the world’s biggest structure and was made by living organisms known as coral polyps. It is also home to an astounding diversity of life and has even been named one of the seven wonders of the world. 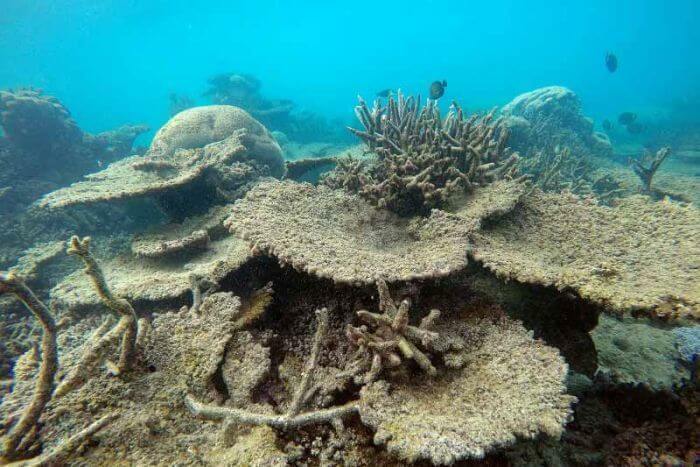 However, last year, huge portions along the northern sector of the once magnificent and thriving reef have been found dead due to overheated seawater. Now, in the southerly sections, there have been signs of bleaching, a potential precursor to another die-off to the reef’s most visited area. Such effects weren’t expected to affect the reef for another 30 years, yet now over two-thirds of the reef are dying or are dead. In March 2017, the journal Nature published an obituary for the reef, showing huge sections of the north reef had died over the course of 2016 due to high water temperatures which have been directly attributed to climate change. The Dead Sea, otherwise known as Salt Sea, is a landlocked salt lake between Israel and Jordan in southwestern Asia. The Dead Sea has the lowest elevation and is the lowest body of water on the surface of the earth, and is also the world deepest hypersaline lake. It is 9.6 times as salty as the ocean and one of the world’s saltiest bodies of water. This makes it a harsh environment for plants and animals to live, hence its name the Dead Sea. The water is so dense that everything floats with ease, as well as its beauty make it a popular tourist attraction. It is also home to one of the world’s first health resorts. Currently, the Dead Sea is receding at an alarming rate. Scientists are now looking to crystalline salt samples taken from 1,000 feet below the bed to understand the potential dangers of a warming climate. Already a very dry area, scientists believe that climate change could reduce rainfall drastically as what happened hundreds of thousands of years ago. 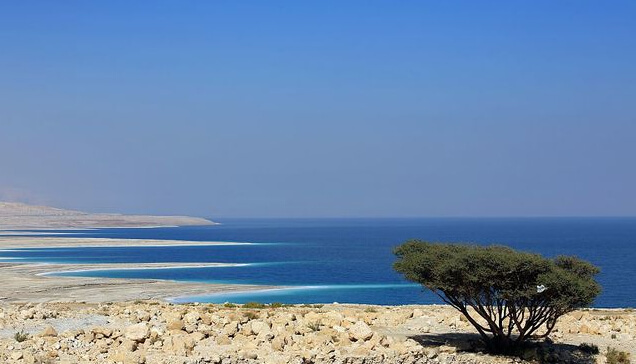 It has been observed that this region is one of the most affected by modern climate change, with the Dead Sea being the lowest spot on land and having a history of shrinking with the earth’s environmental shifts. Recently, the sea has dropped around four feet a year. It doesn’t help that human development has resulted in an increased demand for water, therefore taking it from the fresh water sources that flow into the sea. The Alps are the highest and most extensive mountain range system in Europe. They stretch around 750 miles across the eight Alpine countries of Austria, France, Germany, Italy, Liechtenstein, Monaco, Slovenia, and Switzerland. They were formed over tens of millions of years ago as the African and Eurasian tectonic plates collided, causing marine sedimentary rocks to shoot into mountain peaks, such as Mount Blanc and Matterhorn, over 13,000 feet high. The region has a strong cultural identity of cheese making and farming, as well as a massive tourist industry that brings people from all over to discover their beauty and participate in winter actions sports. Global warming has caused temperatures to rise in the Alps by just below 2 degrees Celcius over the past 120 years. Researchers suggest that that temperatures are expected to increase another 2 degrees Celcius over the next 40 years as well. This is directly causing the disappearance of the alpine glaciers and is one of the biggest indicators of global warming. In the past few decades, many of the alpine glaciers have been reduced to half their original size, and it is assumed that by the end of the century essentially all of them will have disappeared entirely. Furthermore, the shrinking of these glaciers also creates what is known as the feedback effect. This means that the smaller the glaciers, the less amount of light is reflected off of them, so the sun ends up heating the earth more. In addition, the melting of these glaciers brings about the worry of the revival of “zombie pathogens” that were once frozen in ice, only to be freed again. The Amazon rainforest is a moist broadleaf forest in the Amazon biome that covers most of the Amazon Basin of South America. The basin is 2,700,00 square miles, of which 2,100,000 square miles are covered by the rainforest. The region includes territories belonging to nine different nations which are Brazil, Peru, Columbia, Venezuela, Ecuador, Bolivia, Guyana, Suriname and French Guiana. 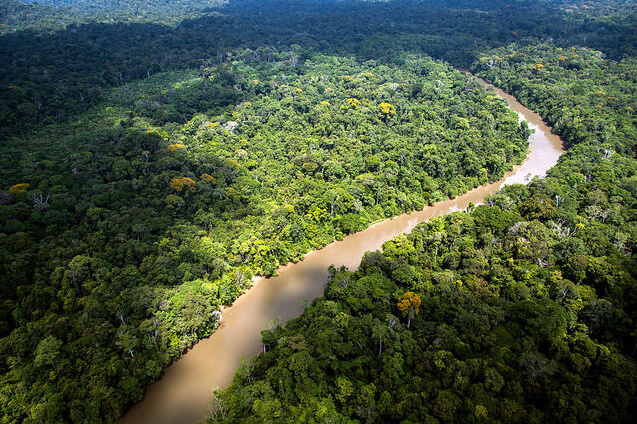 The Amazon constitutes around half of the planet’s remaining rainforests and is the most biodiverse tract of tropical rainforest in the world. The Amazon rainforest also has the greatest biodiversity with one in ten species in the world living in it. One major concern regarding the Amazon rainforest and climate change is the link between sea temperatures in the tropical Atlantic and drought in the Amazon. As the tropical Atlantic warms, it will fill the rivers with higher-temperature water, as well as create less rainfall. This lack of rainfall has resulted in droughts which have seriously affected plant and animal ecosystems as well as made certain regions susceptible to fires. 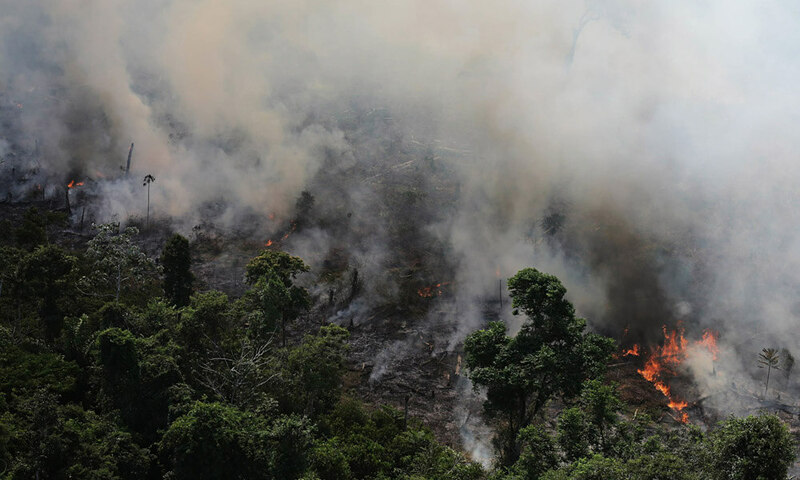 We already saw this in 2005 when the Amazon experienced its worst drought in memory, in which thousands of square miles burned and released 100 million metric tons of carbon into the air. Also, if the world continues to warm, pathogens such as the Zika virus as well as cholera from areas such as the Amazon may spread to now-warmer areas, moving further across the world. Siberia is a massive geographical region that has been a part of Russia since the 17th Century. It extends eastward from the Ural Mountains to the watershed between the Pacific and Arctic drainage basins. It is 5,100,000 square miles, 70% of Russia’s land area, and home to only 40 million people. This makes it one of the most sparsely populated regions on earth. Siberia is known for its long harsh winters with a January average of -13 degrees Celsius. This region is also significant because it contains bodies of prehistoric animals that have been contained in the permafrost. 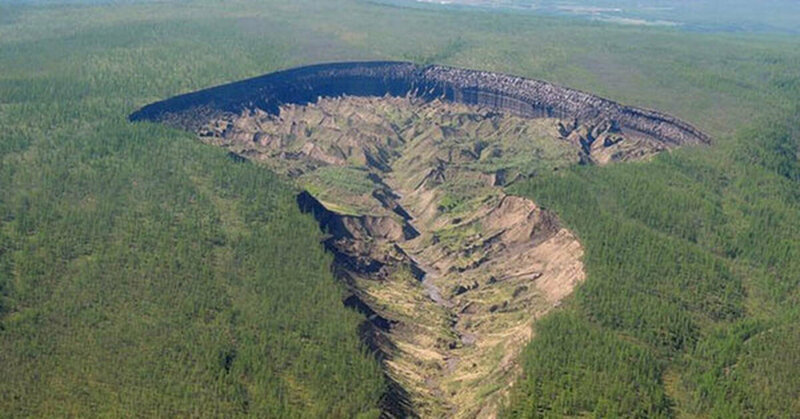 Due to global warming, sinkholes are popping up all across the Siberian frontier. This is due to the unusually warm conditions which are melting the exposed layers of glacial ice that had not been seen for over 200,000 years, causing the land to buckle up and fall into itself. This occurs when the permafrost rapidly thaws, causing scar zones in the crust of the earth that will only continue to grow. 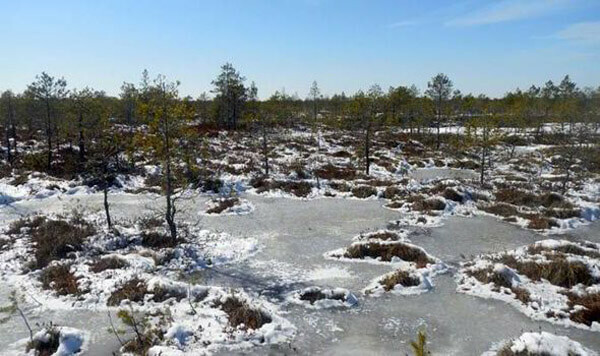 Another issue caused by the thawing of the permafrost is the potential release of deadly pathogens in the permafrost, such as anthrax. In 2016, there was an outbreak of anthrax through herds of Siberian reindeer after a 75-year-old carcass had thawed. Now with these sinkholes, we are finding more and older remains from animals that are just beginning to thaw, so there is no telling what kind of pathogens may be released. Glacier National Park is located in the U.S. state of Montana. 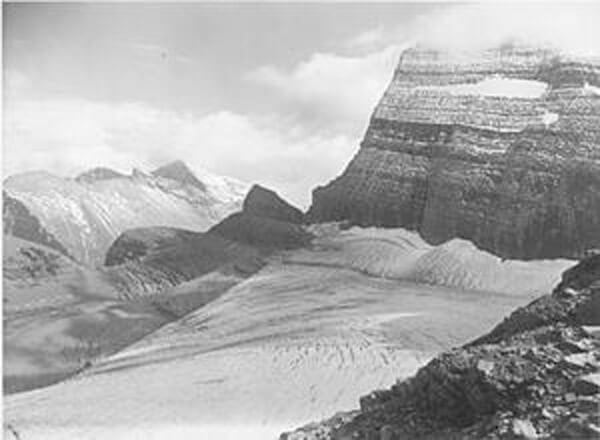 It encompasses over one million acres and includes parts from two sub-mountain ranges of the Rocky Mountains. It also has over 130 named lakes, and over 1,000 species of plants and hundreds of species of animals. Its region used to be inhabited by Native Americans, mostly the Blackfeet and Flathead tribes. There are many tourist attractions as well as hotels and chalets that are now National Historic Landmark. Due to massive glacial action, there has been a U-shape carved into the valleys, leaving behind lakes. 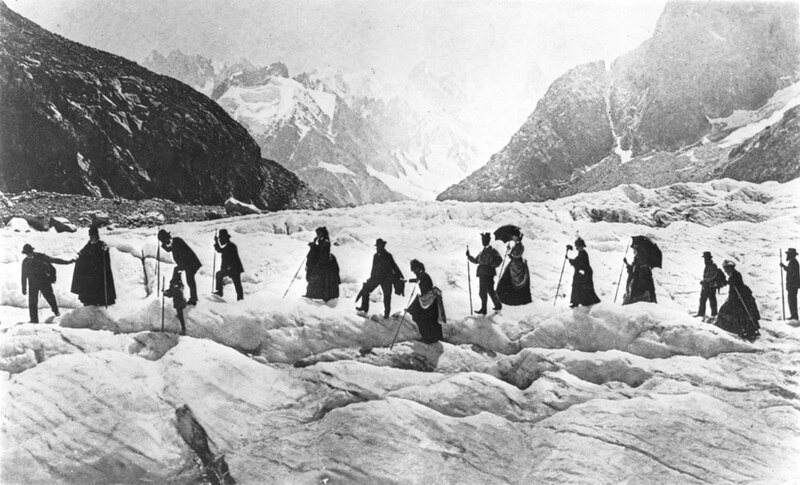 It is estimated that over 150 glaciers existed in the park during the 19th Century. However, although there were over 150 glaciers in existence during the 19th Century, only about 25 active glaciers remained in 2010. It is estimated that by 2030, there will no longer be any glaciers at all. Global warming is not just melting all of the beautiful glaciers that made this place into what it is, but it is also having serious effects on the water flow, vegetation patterns, the wildlife and a changing fire regiment. Reduced snowpack from the glaciers has led to less water flowing into the streams for invertebrates, leading to a reduction in fish numbers. Also, a higher temperature water has created an extinction of aquatic species as well as lead to a lessened plant diversity. 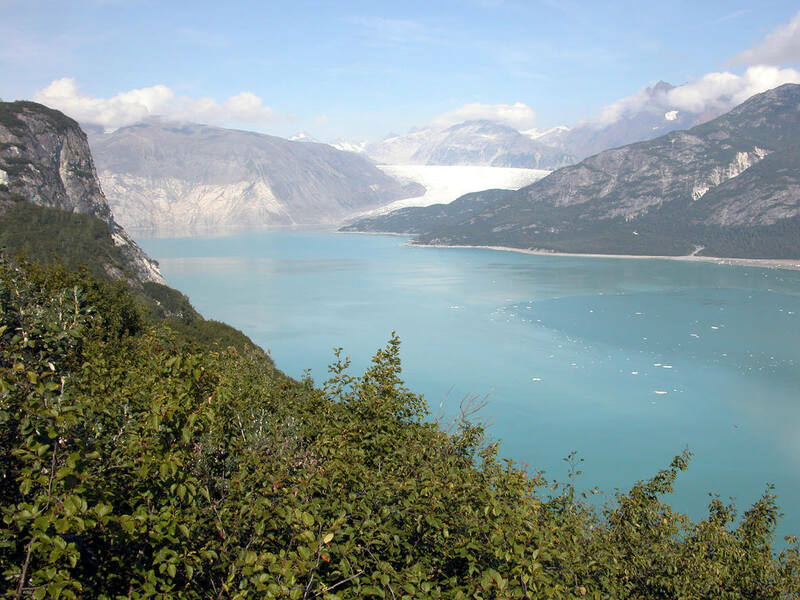 Muir Glacier is a massive glacier in the Glacier Bay National Park and Reserve in the U.S. state of Alaska. 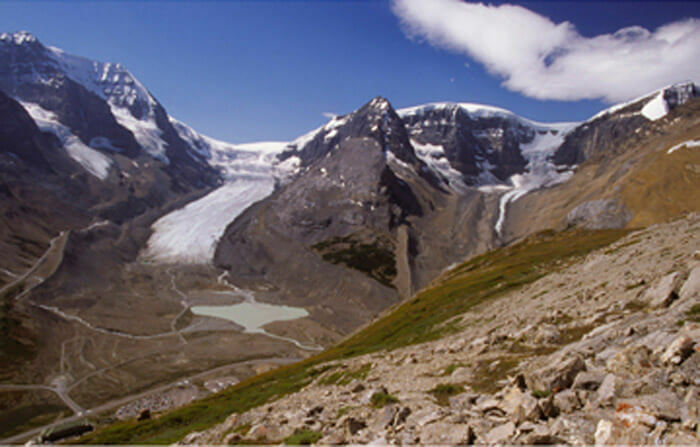 It is currently classified as a valley glacier because it resides in a valley between mountains. However, a century ago, it was labeled as a tidewater glacier because its terminus emptied into the ocean. It is named after John Muir who discovered it in 1879. One hundred years ago it was as solid as a rock and through repeated photographs, one can see the devastating difference that global warming has done to with once magnificent structure of ice. This photo was taken in 2005, and it shows that the Muir Glacier is no longer even visible. 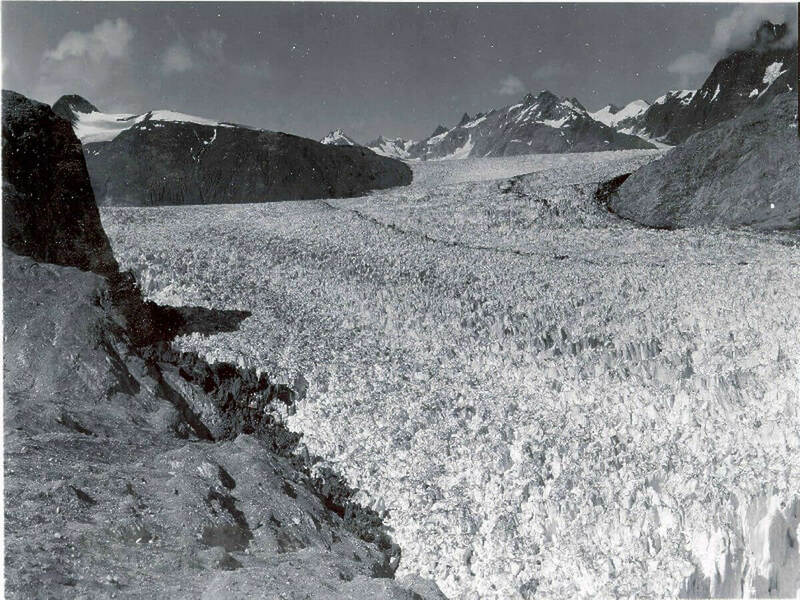 Since the original photo was taken in the 1800s, the glacier has receded over 31 miles and no longer has a tidewater terminus. 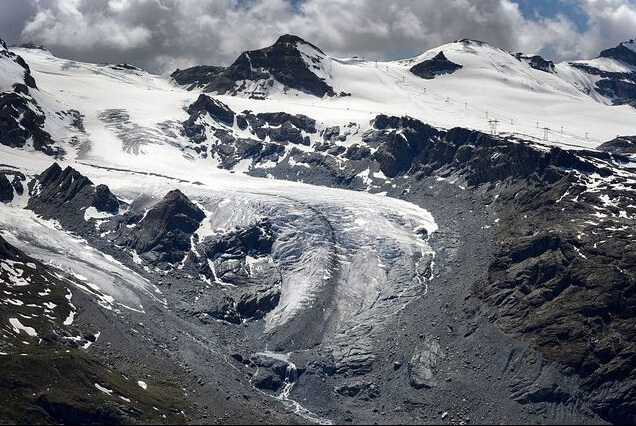 In the first photo, we see giant building-sized chunks of ice on the surrounding mountains, and once it has receded, all we can see is fresh vegetation where a massive glacier used to be. 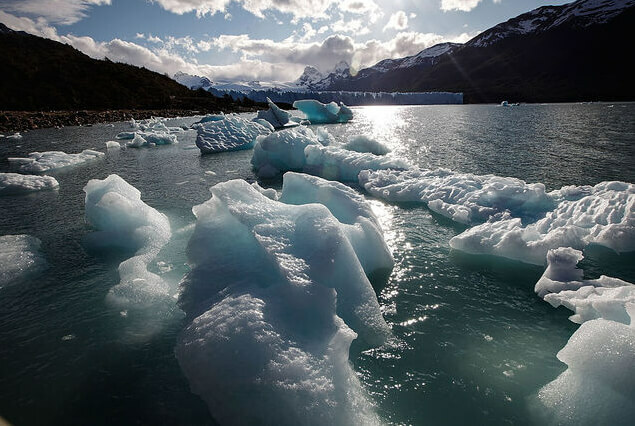 Yet again, a glacier of this size melting so quickly over the course of 100 years has devastating effects on the habitats and environment around them. The melting of this glacier has lead to a significant rise in water levels, and a complete reversal of the surrounding environment. 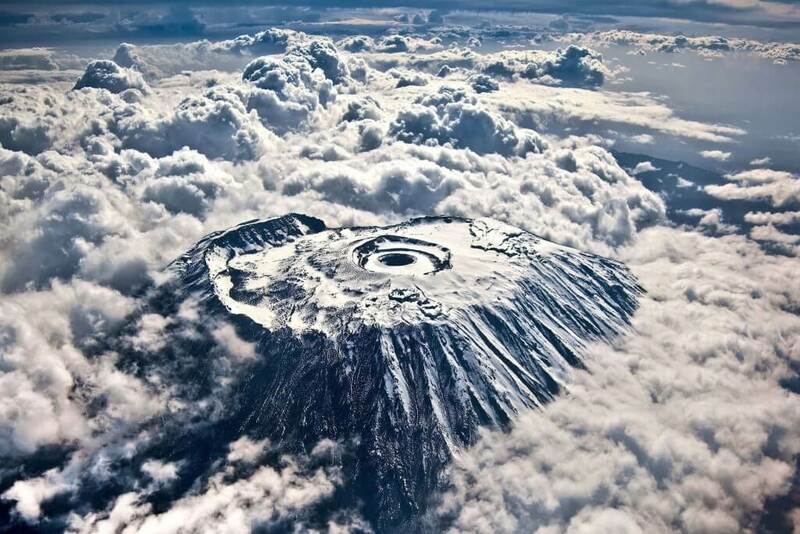 Mount Kilimanjaro is a dormant volcano in Tanzania. 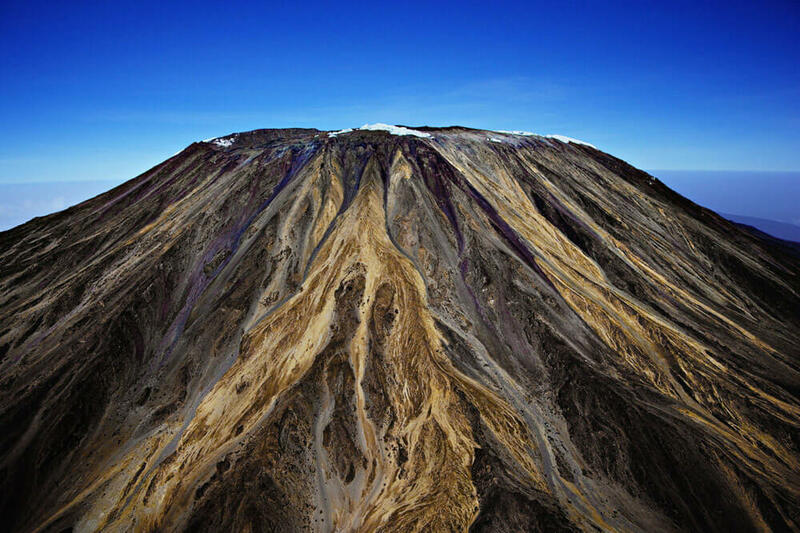 It is a stratovolcano and has three volcanic cones named “Kibo”, “Mawenzi”, and “Shira”. Although it is dormant, it is possible for it to erupt again. It is the highest mountain in Africa and rises approximately 16,100 feet from its base above sea level. The mountain is part of the Kilimanjaro National park and is a major tourist attraction as well as a mecca for adventurous climbers. The summit was first reached in 1889 by climbers Hans Meyer and Ludwig Purtscheller. Recently, the mountain has been the subject of many scientific studies because of its shrinking glaciers and disappearing ice fields. The volcano’s renowned northern glaciers are expected to be gone by 2030. Also, the entire ice field, which holds the majority of Kilimanjaro’s remaining ice, lost more than 140 million cubic feet of ice in the last 13 years. The ice sheet that once was at the summit of the mountain in 2007 was 85 percent smaller than the one that covered it in 1912. It appears that the iconic image of Mount Kilimanjaro looming in the distance with its white peak will now only be observable in pictures. The Athabasca Glacier is potentially the most visited glacier in Canada and all of North America due to its accessibility and beauty. The edge of the glacier is easily within walking distance, allowing visitors to have a moment of satisfaction knowing that they have been on a glacier before. 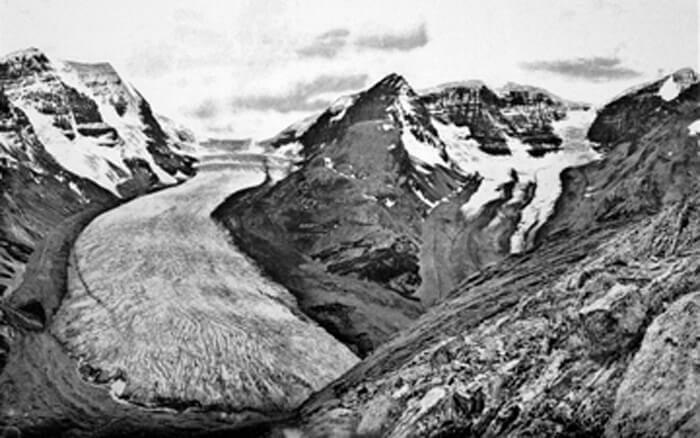 It is one of the six principal “toes” of the Columbia Icefield in the Canadian Rockies and is a part of Jasper National Park. It is 20,000 feet in area, and 20,000 feet long. In some places, the ice is as thick as the Eiffel Tower is high. Because it is so accessible for tourists to go and visit, researchers and tour guides encourage people to make the trip before it’s too late. Unfortunately, the glacier has been receding at a rate of about 16 feet per year and has lost more than half its volume in the past 125 years. If it keeps receding and losing this much volume, experts say that it could easily disappear entirely within a generation. They note that even if there was somehow extensive snowfall to help add to the glacier, the summers are warm enough, and the falls are long enough, for all of the snow to melt. 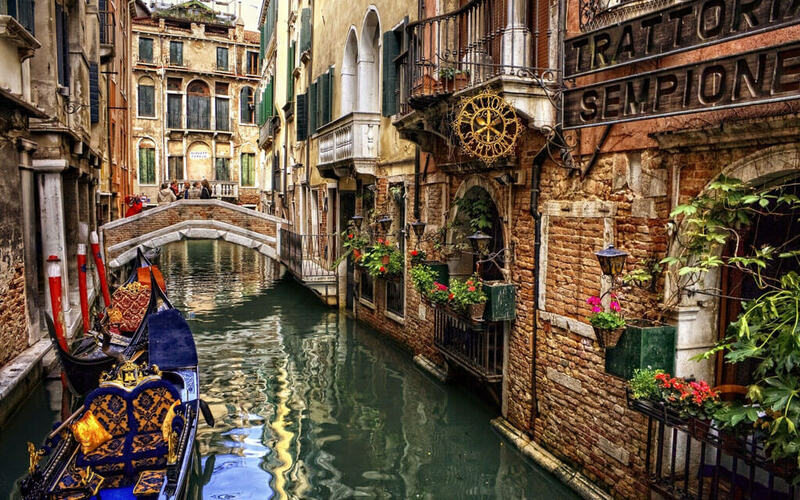 Venice is a city in northeastern Italy and is the capital of the Veneto region. It spans across 118 small islands, all separated by canals linked by bridges. The city is of great historical importance, as it was a major financial and maritime power during the Middle Ages and the Renaissance. It was also a very important center of commerce and art in the 13th Century up until the 17th Century. To this day, it is regarded as one of the top places to visit in Europe, being ranked the most beautiful city in the world in 2016, and also due to its vast history. 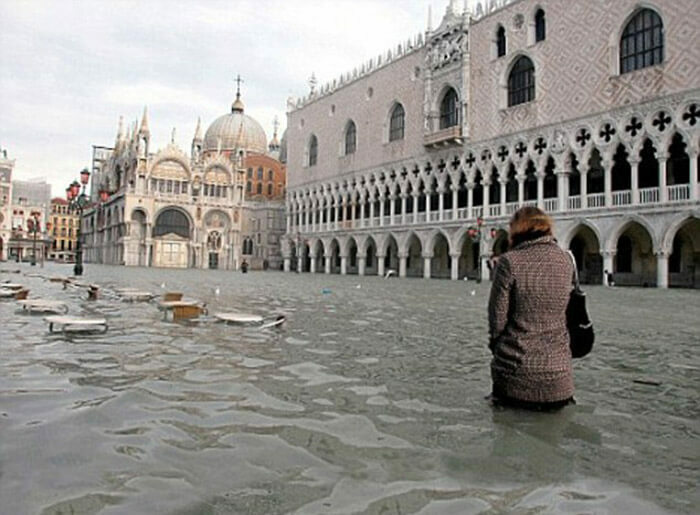 Although it is rich with history, art, architecture, and culture, that does not mean that Venice isn’t susceptible to the consequences of climate change. Being built essentially in the water of the Venetian Lagoon, it is extremely sensitive to rising water levels as well as erosion. The city has been sinking for centuries, which has been of concern for quite some time. However, as ocean levels are starting, and will continue, to rise it puts the entire city at great risk. If the water levels rise to what we expect them to, we may have ended up destroying Venice entirely, and all of the history that went along with it.